Taking a train journey across and between countries is often one of the nicest ways to travel. There tends to be more legroom than on a bus and it’s definitely faster without all the traffic jams in cities. Although I wouldn’t naturally call myself a train lover (I always just think of the cramped journeys in and around the UK), when I think of train journeys I’ve had abroad I reassess my position. Living in France and doing the train journey from St Pancras to Paris then through France down to Grenoble in The Alps was a dream, travelling across China on the high-speed trains was easy, and taking the Caledonian Sleeper up to Scotland a few years ago was the perfect way to fit in a weekend break! I’m far from being a train enthusiast, but these best train journeys across the World are still incredibly enticing. Travelling in the UK and under 30? If you’re travelling around the country by train then it’s definitely worth getting a Railcard. They saved me SO much money on trips between London and home while I was living there (I basically made back the price in one ticket!). The Young Persons Railcard (16-25): Save up to 1/3 on journeys. Both cost £30 for an entire year and you’ll need to take a passport photo when you buy online or at the train station. There are also lots of other railcards such as couples and family railcards that might e worth looking into. The Welsh Highland Railway in Snowdonia National Park is Britain’s longest narrow gauge line. At 25 miles long the ride may seem small compared to the epic rail journeys elsewhere in the world but don’t underestimate it. This rail journey was closed in 1937 after slate mine traffic decreased but volunteers worked hard to rebuild the tracks that snake through rivers, forest and almost Swiss-style gradients. Muddy hiking boots are almost a prerequisite for this lovely railway! It’s lucky this “Road to the Isles” service was saved from being axed in the 60s as it has lived on to become one of Britain’s best-loved scenic railways. The 42 mile rail journey, through mountain and glen, takes in an impressive panorama from Britain’s highest mountain to Europe’s deepest seawater loch. 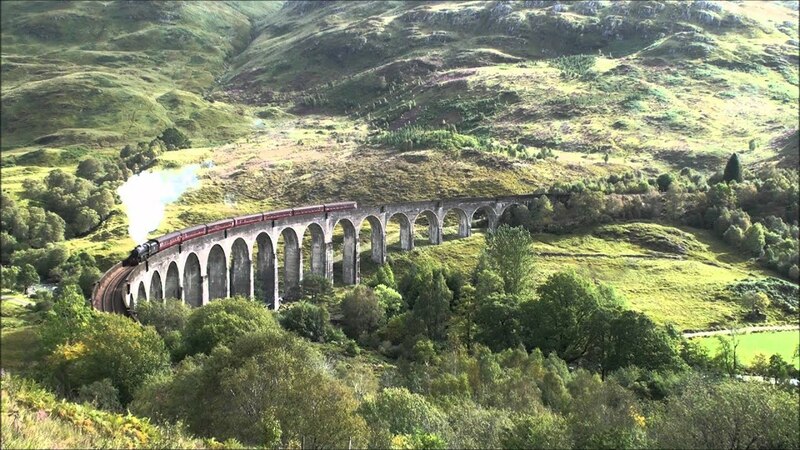 Most passengers come to gawp at the pioneering Glenfinnan Viaduct which shot to fame as a location for the Harry Potter films. If you’re a regular user of the trains in England you might not be able to imagine taking a train journey for pleasure. But forget the rail replacement buses and strikes and take a look at the Settle to Carlisle route; few journeys in England are as picturesque as this. The train crosses the Yorkshire Dales and Northern Pennines and weaves its way straight into the heart of England’s craggy northern hills and cliffs. Get your nap in before you’re onboard – you wouldn’t want to miss a second of this nearly 2 and a half hour journey! Perhaps the cutest train journey on the list, the Talyllyn is a small steam-powered, narrow gauge railway was originally built in 1865 to haul slate from the Bryn Eglwys quarries near Abergynolwyn. The slate runs shut down in 1946 after an accident, and the line, which had fallen into disrepair, would have been absorbed by the woods if not for a generous group of enthusiasts who formed the Talyllyn Railway Preservation Society. At just 7 miles long, this is a trip for the whole family. 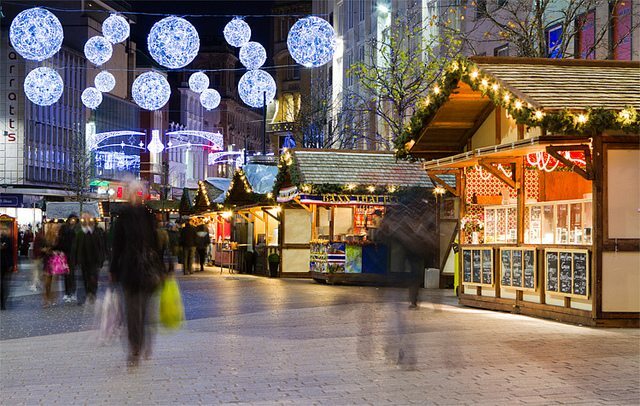 Get a hop on, hop off ticket and go do some exploring in Wales. This tourist favourite carries 36 passengers (yep, just 36!) through some of Scotland’s most beautiful landscapes. You’ll cross Scotland’s famous lochs, highlands, castles and craggy cliffs with regular stops at tiny Scottish villages. Best of all, you’ll do it at a pace that rarely excess 20mph at any given time. If you truly want to get into the spirit of things then make sure to hire a kilt or even have one custom-tailored to wear during the journey! Want to travel from London to Scotland? Check out the overnight sleeper train! 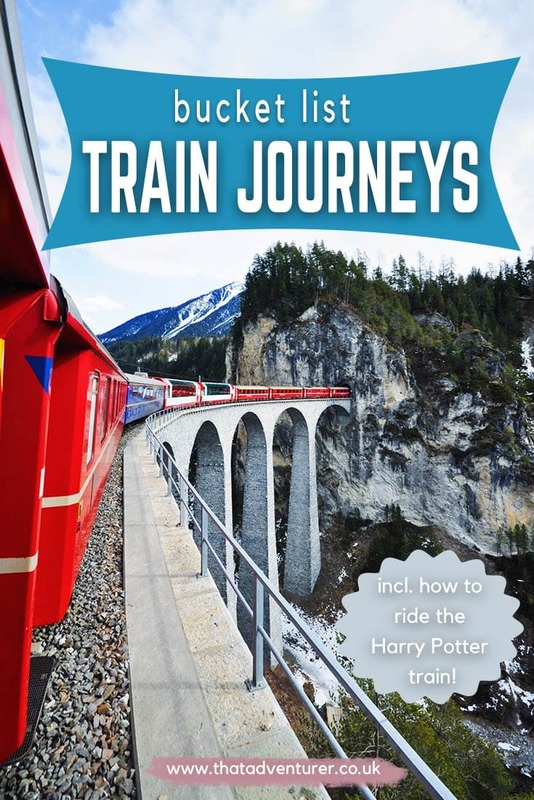 Travelling Europe by train is a great idea! If you’re planning to do a lot of train travel in Europe then be sure to check out Interrail passes. You can either buy a pass for one country, or (what’s more popular) is to buy an interrail pass for a chosen period of time. This then covers your train travel in 30 European countries (excl. your own). It’s such a great way to explore Europe! 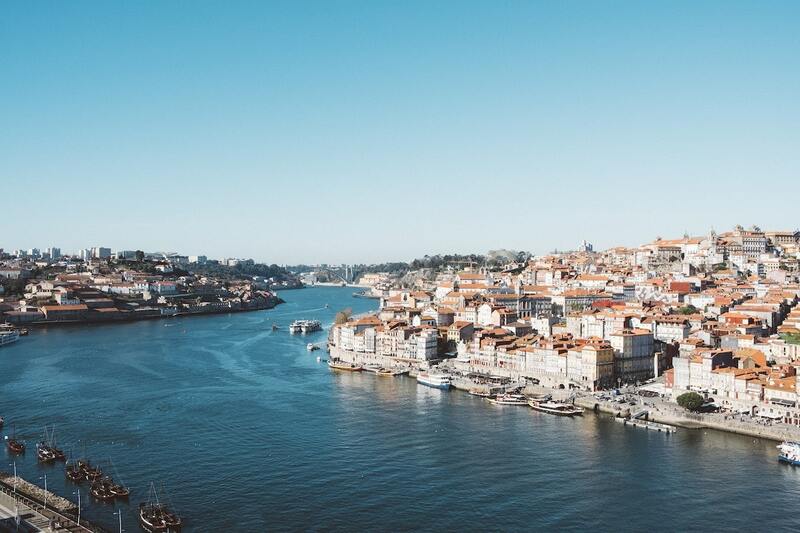 If you happen to be travelling through Portugal between early spring and late summer then book a trip on the Douro Line. During this time the almond trees blossom and the terraced grape vines burst with fruit ready for pressing. The 1887 Douro Line route from Porto to Pocinho is one of the easiest ways to enjoy Portugal’s green river valley. The scenery is stunning as you stick close to the river crossing 30 bridges, passing through 26 tunnels and stopping off at beautiful historic stations such as Régua and Pinhão. Travel from Budapest to Istanbul on the Danube Express and get a whole new appreciation for the medieval buildings of legendary Transylvania. The whole journey takes 4 days but adding a few extra onto both ends of your trip is a must as the two cities are unmissable. The Danube Express is the only international private train in Europe with en-suite compartments and air conditioning making it ideal for those who like a little bit of luxury! 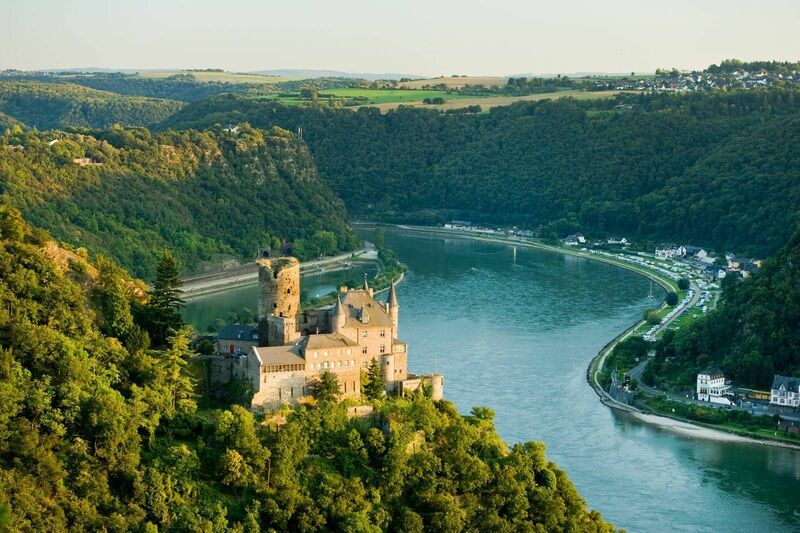 A train journey in Germany’s Rhine Valley from Mainz to Koblenz is the rail journey of choice for postcard-perfect views of centuries-old castles perched up high above the river. Along the 62 mile journey, there are castles every few miles, all of which are beautiful! Get a seat on the left-hand side for the best views and, on arrival at Koblenz, be sure to visit the fortress of Ehrenbreitstein for a panoramic valley view. The 310-mile Oslo to Bergen railway is the highest major rail route in northern Europe as well as one of the most spectacular. Passing through desolate mountain terrain at 4,000ft, and running for nearly 60 miles above the tree line. Even in summer, there is snow, but don’t let this deter you from stopping off at Myrdal to change onto the Flam Railway, Europe’s steepest line on conventional tracks, dropping 2,831 feet down to the fjord below. Running from Chur and St Moritz in eastern Switzerland to Tirano in northern Italy, the Bernina Express is up there with the most scenic railway journeys in the world. 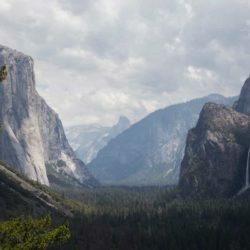 The four-hour, 90-mile journey through 55 tunnels and 196 bridges traverses a sensational alpine landscape, past lofty waterfalls, glaciers and crossing dramatic ravines. Every carriage has vista windows so nobody gets a crick in the neck and the climb over the Bernina pass at 7,000ft is often in a raging snowstorm, while you can bask at a café table on arrival in the warm Italian sunshine. Most people haven’t heard of the Transalpina railway which is why it’s nearly perfect in some rail travellers’ eyes. Whilst smaller than it used to be under the Austro-Hungarian Empire, the railway still runs between Jesenice and Nova Gorica in Slovenia from where you can get off and stroll into the historic Italian city of Gorizia with no border control. The journey is a spectacular tour of Slovenia’s upland highlights, climbing through mountain villages along the Soča River, passing through superb Alpine scenery near Lake Bohinj, and on past Lake Bled’s iconic castle. 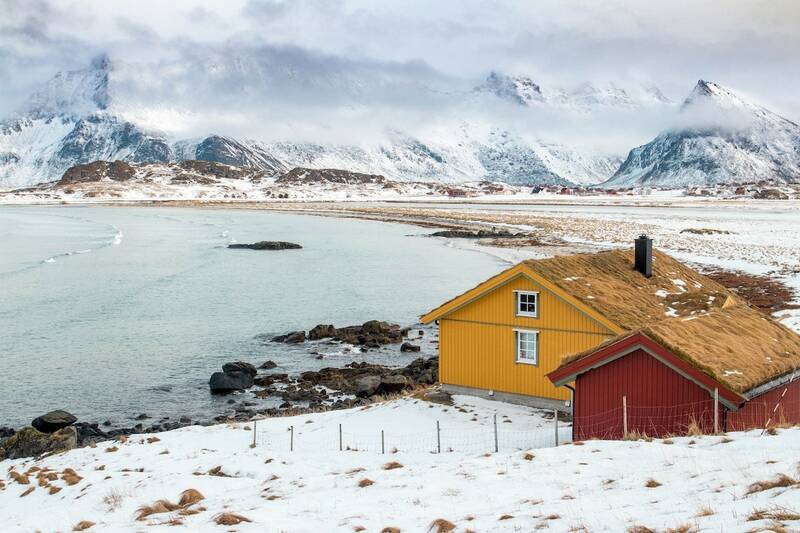 Brrrr… wrap up well since we’re off to the Arctic Circle on Europe’s most northerly journey! 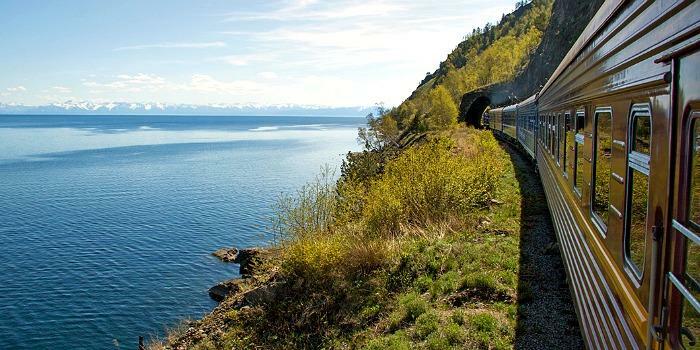 This train journey takes you from Stockholm to the port of Narvik in northern Norway. This isn’t the most luxurious train journey on the list but it’s certainly enjoyable! Mingle with locals and tourists in the restaurant car while feasting on reindeer stew and mash. You’ll be appreciative of this cosy meal which only gets better as the weather gets colder. Once you’re full make it your mission to spot the elks outside! The Trans-Harz and Brocken Railway traverse through the Harz Mountain region and Harz National Park in Germany. The railways both still run on steam locomotives so if you know a train enthusiast they’ll love this! 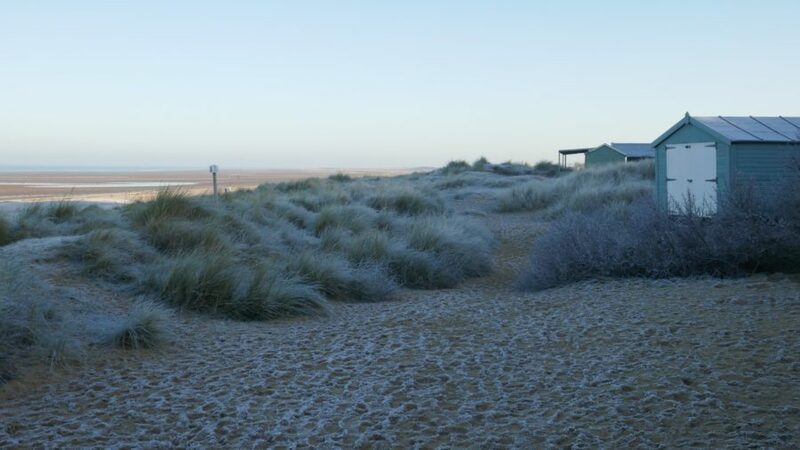 As you huff and puff your way up the highest peak in the park you’ll be blown away by the view! Any train lover or traveller worth their salt will have heard of the Glacier Express. Widely regarded as one of the most beautiful train journeys in the world, the Glacier Express twists and turns through 91 tunnels and 291 bridges as it makes its way from St. Moritz to Zermatt over 7 hours. The green rolling pasture, the craggy Alps, beautiful wooden chalets and a train that always runs on time? What else could you ask for? Prepare yourself for this 10 hour epic through the Balkans as you travel from Belgrade to Bar! Three trains daily leave the Serbian capital bound for the Adriatic coast on a railway that was, unusually, only completed 40 years ago. The journey offers excellent views of the Balkans ranges, fast-flowing rivers, and even pops into Bosnia and Herzegovina for a short stretch. Should one 10-hour train ride feel too long then consider cutting the journey short in Podgorica, Montenegro’s diminutive capital. It’s then a short hop to the coast via the beautiful Skadar Lake. You’ve gotta buy these ones in person! The Orient Express has to be the world’s most famous train. Featured in movies, on TV shows and countless novels. The original route used to cross Europe from Paris to Vienna giving passengers some beautiful scenery outside the window. Although the train stopped running in 2009, hotel chain Belmond bought the rights to the name and the train and now runs a number of luxury rail journeys on various routes including the iconic Paris-Istanbul line. North America doesn’t really do trains, but when they do there are some incredible views! I was so incredibly excited about visiting Banff National Park when we moved to Canada. The views look amazing and watching from a warm seat in a train carriage might just be one of the best ways to cut through the Canadian Rockies. The journey through the Rocky Mountains by train takes two days. It’ll depart from the ski resort of Banff in Alberta before heading out towards the city of Vancouver, passing the beautiful Canadian Rockies as it goes. 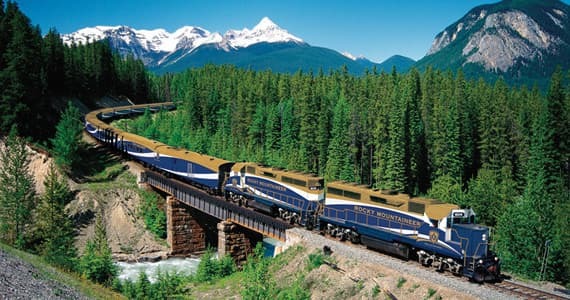 The Rocky Mountaineer is one of the world’s best railway journeys in terms of scenery and the in-car dining service is said to be delicious! If you fancy splurging then opt for the GoldLeaf Service and you’ll be treated to plentiful made to order breakfasts, lunches and unlimited cocktails and snacks! Keep your eyes peeled for wildlife on this train as you could spot massive moose of big grizzly bears whilst crossing the Alaskan tundra from Anchorage to Fairbanks on the Denali Star. 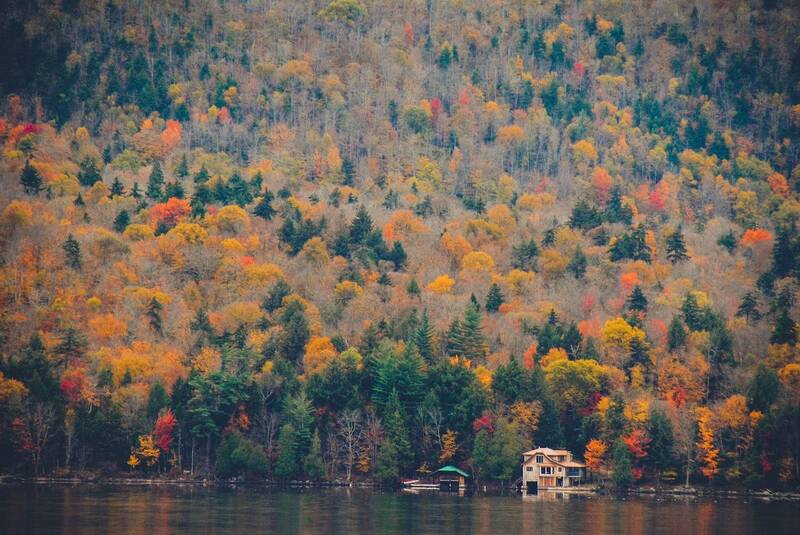 If you’ve splashed out and booked the panoramic GoldStar double-decker dome car you’ll find the view even more incredible, particularly when Mt. McKinley comes into view. How many varieties of wine can you sip on the 3 hours, 36-mile round trip or lunch and dinner journey of the Napa Valley Wine Train? In the train’s Zinfandel Wine Tasting Lounge, you’ll have your pic but make sure you’ve taken the time to enjoy passing the sun-kissed vineyard views outside first. Enjoying a freshly made meal in the 1915-1917 Pullman dining car is the perfect way to enjoy your ride. This 381 mile railway journey from New York City to Montréal has a reputation for being slower than a wheeled wagon on a track. 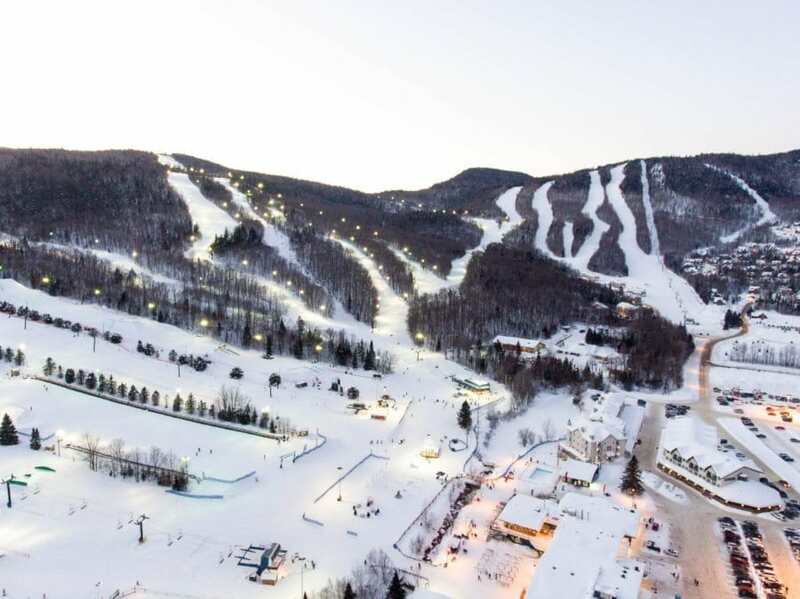 If you like to travel fast then this one isn’t for you but I promise it’ll make up for it with the breathtaking vistas of the Hudson River Valley and the Adirondack Mountains. The California Zephyr is an epic railway journey which carves its way across the American Midwest to the West Coast. Much of the rail journey is through seemingly endless cornfields – not entirely the most exciting thing to see out of your window for a few hours. Be patient though, this train journey is still worth it. As soon as you hit Denver you’ll be running alongside the Colorado River and crossing the Rocky Mountains and Ruby Canyon as you head towards San Francisco. At a leisurely pace of just 55mph, you’ll have plenty of time to take it all in! Experience something completely mind blowing when you take a railway journey in Asia! Starting in Singapore and ending in Bangkok, this rail journey definitely beats the long bus journeys most travellers in south-east Asia are used to. Along the way you can stop off at Kuala Lumpur, Butterworth (Malaysia) and Kanchanaburi (Thailand), covering a total of 1,262 miles. With its stunning natural beauty, excellent Thai/Malaysian food, and luxurious interiors, you can see why it ranks among the 25 best train journeys in the world. There’s really no better way to get to the heart of Vietnam than travelling with the locals on the Reunification Express. This 2-day journey from Hanoi to Saigon gives you a panoramic view of Vietnamese life. French colonialists may have built the line but its spirit derives from the reunification of the two nations severed by the Vietnam War. Trains include modern air-conditioned sleeping cars, with comfortable, if slightly tatty berths. 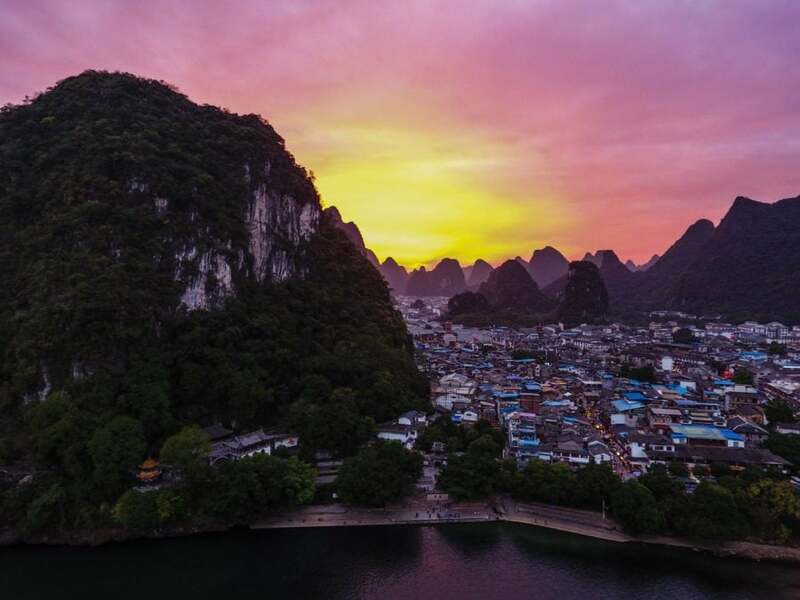 According to those who have done it, the best bit could be sharing your berth with a Vietnamese family, who will quickly become your best friends. The Darjeeling Himalayan Railway is so picturesque that it’s even a World Heritage Site complete with wheezing British-built steam locomotives from the Victorian era. The line climbs 6,500ft from India’s sweltering plains near Kolkata to the fresh air of the Raj hill station at Darjeeling. The train isn’t just for tourists as it performs a vital social function to taking the local villages home and away on its 50-mile journey. Near the top, the train doubles back on itself through four zigzag loops to allow passengers to acclimatise. Breathtaking. Beginning in 2010, the Maharajas Express was a recreation of the luxurious carriages of days gone by. The Maharajas Express began by taking only 88 passengers from Delhi to Mumbai on a train journey that lasted 3-7 nights. The journey takes passengers through colourful Rajasthan to numerous attractions including Agra, Jaipur, Udaipur and Ranthambore where you can catch sight of Bengal tigers in the wild! There’s also emergency oxygen on board the Qingzang railway in China and you’ll have to give your signature on a health registration card before you travel too! The train, which runs on the world’s highest track, climbs up to 5,000m above sea level on this 2,703 mile trek with temperatures plummeting so drastically that water in the toilet bowls has to be heated to prevent it from freezing! Go the whole hog and complete the ultimate rail journey (one I’d love to do myself) and ride the Trans-Siberian railway. During this 5,753 miles long railway you can cross 8 time zones and two continents, visit towns on the infamous silk road route or cross through parts of the Russian Arctic. The Trans-Siberian is actually a number of services which range from slow, local stoppers to grand international trains such as the luxurious Golden Eagle train complete with sumptuous suites, fine dining and even an onboard doctor! Some routes even take you all the way to Beijing in China! Explore remote areas by train, these truly are some of the best train journeys in the world. Easily the most comfortable way to witness the scenic beauty of the Australian outback is to ride on The Ghan train from the sweltering tropics of Darwin, through the red desert of Alice Springs and ending up at Adelaide. The luxury train covers 1,851 miles through the heart of Australia allowing you to experience life in the country’s remotest towns. Look out for camels and kangaroos as you ride across Australia. 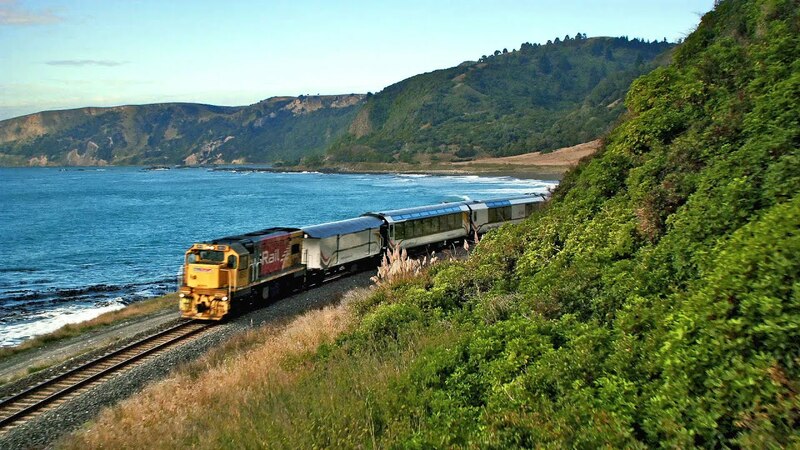 The Coastal Pacific journey from Picton to Christchurch is a classy New Zealand railway that rivals its more famous counterpart: the TranzAlpine. Often combined with the InterIslander ferry from Wellington, this journey begins in Picton, home to the beautiful sunken valleys of the Marlborough Sounds. 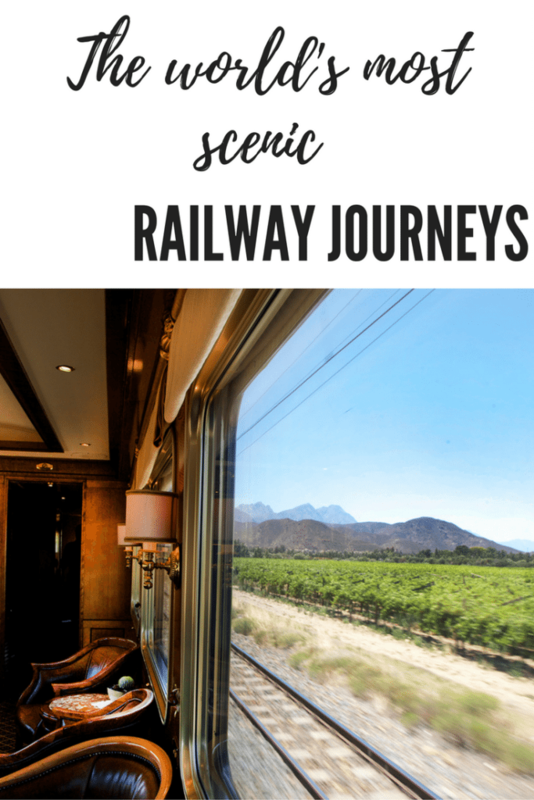 Wine enthusiasts may struggle to part from the world-famous Sauvignon Blancs that grow on the warm, misty slopes here, but a glass or two forms the perfect accompaniment to the hours of dreamy coastal trundling that the train journeys offer. From the garden-loving city of Christchurch, New Zealand (where you can go punting on the river Avon) to the rugged wilds of Greymouth (where you can climb the nearby Franz Josef Glacier). The TranzAlpine crosses the South Island of New Zealand in 4.5 hours, offering up vistas of Canterbury plains farmland and the Waimakiriri River. This is followed by dramatic alpine viaducts leading to Arthur’s Pass. Add this to your list – you won’t want to miss it! Go back in history with a train journey in South America. 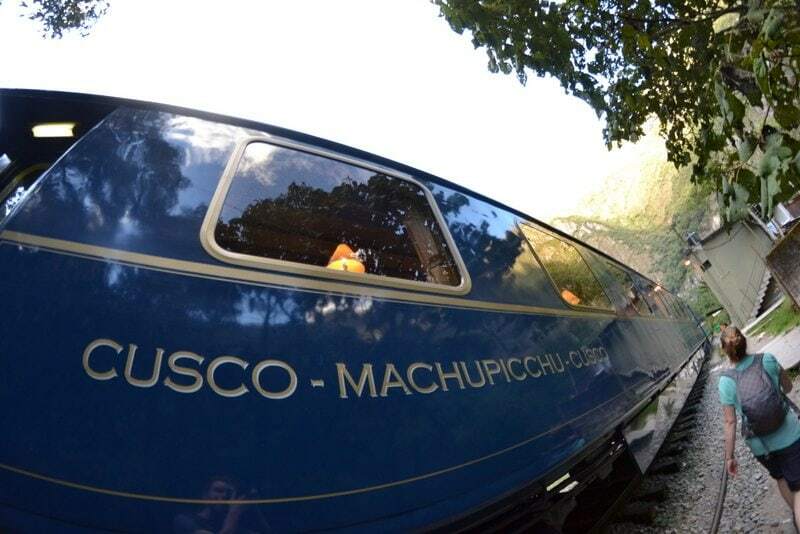 If a trek to Machu Picchu doesn’t sound like your cup of tea then treat yourself to a ride on The Hiram Bingham. As one of the most renowned luxury rail experiences in the world, you can expect to pay more than $100 an hour not only because you’re in a swanky vintage train but because you’re climbing up to Machu Picchu! Altitude seeker? Then the Tren a las Nubes in Argentina is for you! Leaving Salta and climbing 13,800ft on the way to Chile, this 7 hour journey displays some of the most dramatic Andean scenery there is. The backdrop of multicoloured rock formations interspersed with giant cactus fields extends as far as the eye can see! And should you be worried about the altitude there’s oxygen on board! This remarkable railway journey can be found in Havana, Cuba so you better visit quickly before it’s upgraded! The 57-mile service links Havana’s Casablanca Station which can be reached via ferry with the ride across the harbour from Habana Vieja. There are farming villages and small towns all the way to Matanzas making for great photos of Cuba. Yes, the name does come from the chocolate brand as they built it back in 1917. It might be unpredictable but that’s what gives it its charm! This line gives a chance to travel with, and meet ordinary Cubans and experience a rural way of life that may not be around forever. 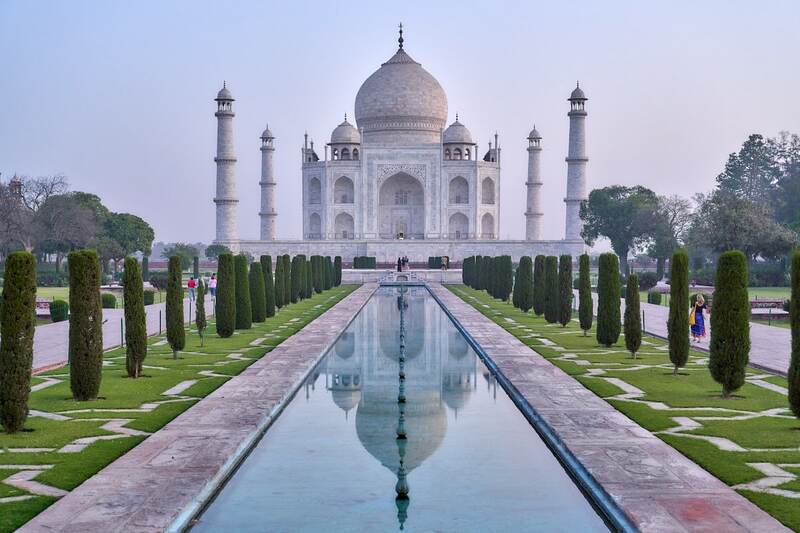 Where you’ll probably find the most luxurious train journeys in the world! South Africa’s Blue Train definitely isn’t cheap at around £2,000 a head. The stunning views, 5-star hotel worthy facilities and decor and excellent service make it worthwhile. 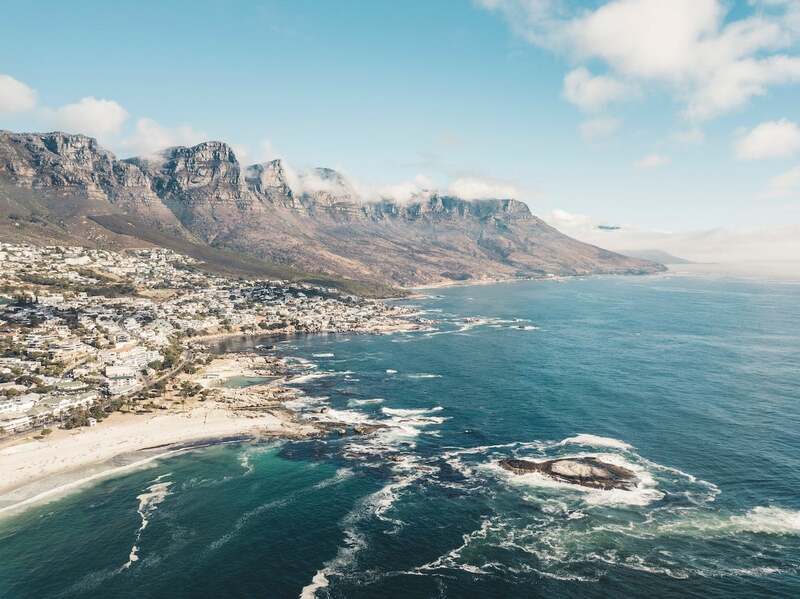 You’ll journey over a 1,000 miles across the South African countryside from Cape Town to Pretoria over forests, grasslands, hills, valleys and endless wilderness. This epic 15-day railway journey takes you through South Africa, Botswana, Zimbabwe, Zambia and Tanzania for the ultimate African rail trip. Visit historic villages, the Selous Game Reserve, the diamond town of Kimberley, Victoria Falls, the Great Rift Valley, and much, much more along the way. Don’t forget to pack your smart gear as for men a jacket and tie is required at dinner or a cocktail or evening dress for women! Any more you’d add to the list? I really fancy crossing America by train one day! It looks like such an exciting way to travel around the country. Nice and relaxing and some of these trips are so luxurious too! SO many of these sound incredible. The Canadian Rockies one really speaks to me because I’ve always wanted to visit Banff! Oh thanks! Will look into it!